Posted on Friday, July 8th, 2011 at 7:45 am. Today’s wrap up of this series on Niche Blogging will address finding the readers you wish to reach, creating the content they need and presenting it with appropriate timing. First and foremost, you’ll want to spend considerable effort on building a voice that suits your personality and your targeted readers’ needs to keep them coming back for more. 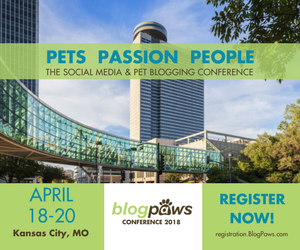 Now get out and network–Blogpaws’ Community, groups such as at Linkedin, or dog lover networking sites. Get into the conversation at Twitter. It’s contagious! Get out and comment at blogs whose readership is similar to your own. Search Engine Optimization, starting with your titles, is critical. I highly recommend a bit of study on the art of SEO. Stay with your strengths. Do your research. Commit to quality content. Ask current readers for input through polls and comments. What do they want to know? Locate guest writers whose knowledge or talents complement your own. Watching the posts that fare well on your analytics program will assist you in knowing where your readers are willing to share their valuable time. For all but the seasoned professional, I have found one blogging guidebook which has something for everyone: Clear Blogging, by Bob Walsh. It’s worth ordering for the many techniques, ideas and resources that you’ll be using for sometime to come. When Should I Post My Content? Your readers’ demographics may give you some idea of the best timing. There are many ways to collect info on your readers’ available reading times and days: Facebook polls, monitoring of Facebook comment times, monitoring of blog comment times, and analytics and stats programs offer info on your busiest times of day and days of the week. Many blog platforms also allow polling. Commemorative days, weeks and months are a big deal in terms of content. Recently, “Take your dog to work day” prompted posts on many a dog blog, even my two light-hearted ones at All Things Dog Blog and 5 Minutes for Fido. These events are good to research and follow for possible relevance to your niche themes, or just for a fun diversion. So many options; so little time. And speaking of timing; it’s time for me to get back to my own posts. See you in Tyson’s Corners; I’ll be the one with a bag of footballs to hand out with the help of PAWS Pack 80 Papillon, Oliver. Be sure to stop and say hello. Best wishes in your niche clarification. Pet Blogger Niches: Who are My Readers? Pet Blogging: Why Do I Need a Niche? Our Niche Clarification Continues: What is My Niche? Carrie Boyko’s All Things Dog Blog endeavors to provide readers with the information they need to create happy dogs and happy families. Great info, Carrie and thanks for sharing.